The latest TVs and video components are capable of delivering a truly spectacular picture. And TV makers usually include a few types of audio/video inputs, although those options have narrowed in the past few years. But a single wrong connection can seriously compromise video quality. High-definition images are a quantum leap in quality over standard-definition, and 4K/HDR images offer even more realistic contrast, color, and brightness. Sadly, many TV owners have never seen what their sets are capable of due to using the wrong type of connection or cable. In this article, we'll define the various types of connections you'll find on current HDTVs, then we'll cover common connection scenarios. The back panel of today's HDTVs may look intimidating, but we'll help you make the right connections for the most common video components. 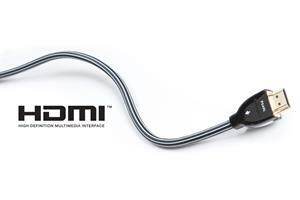 HDMI can carry both high-definition video and high-resolution multichannel audio. It's generally your best option for high-def video, since it can carry full 1080p signals, and it's your only option if you're connecting a 4K video source to a 4K TV, or a 3D video source to a 3D TV. 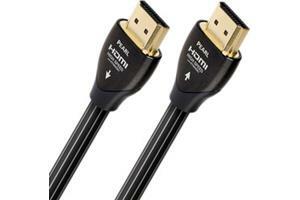 For an in-depth look at HDMI, see our HDMI cables buying guide. Component video is also high-def-capable, which makes it a good alternative when HDMI isn't an option. 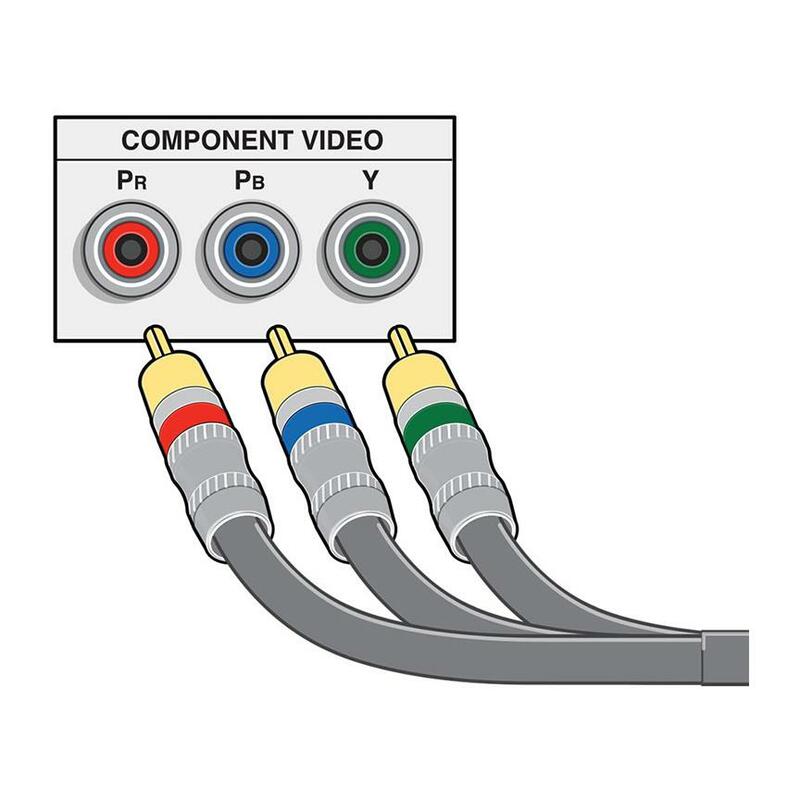 Component video delivers the most accurate picture of all analog video connections. 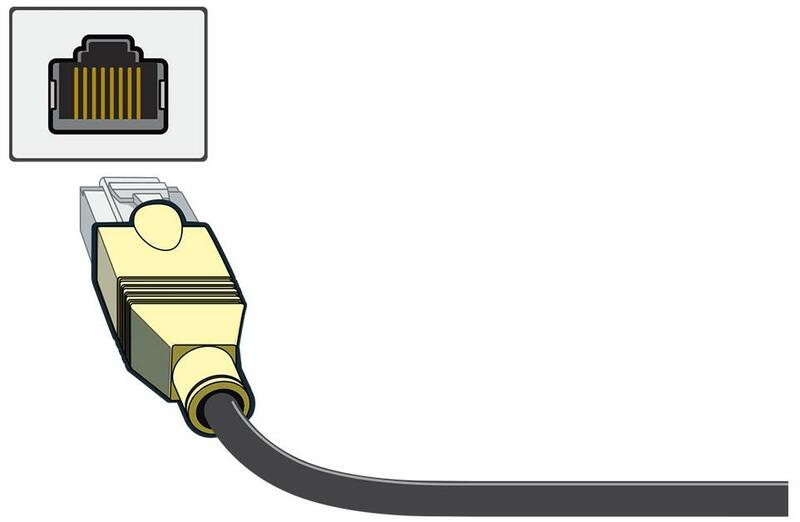 Rather than three full-size RCA jacks, many new TVs use a minijack connector that requires a special adapter (usually supplied with the TV). 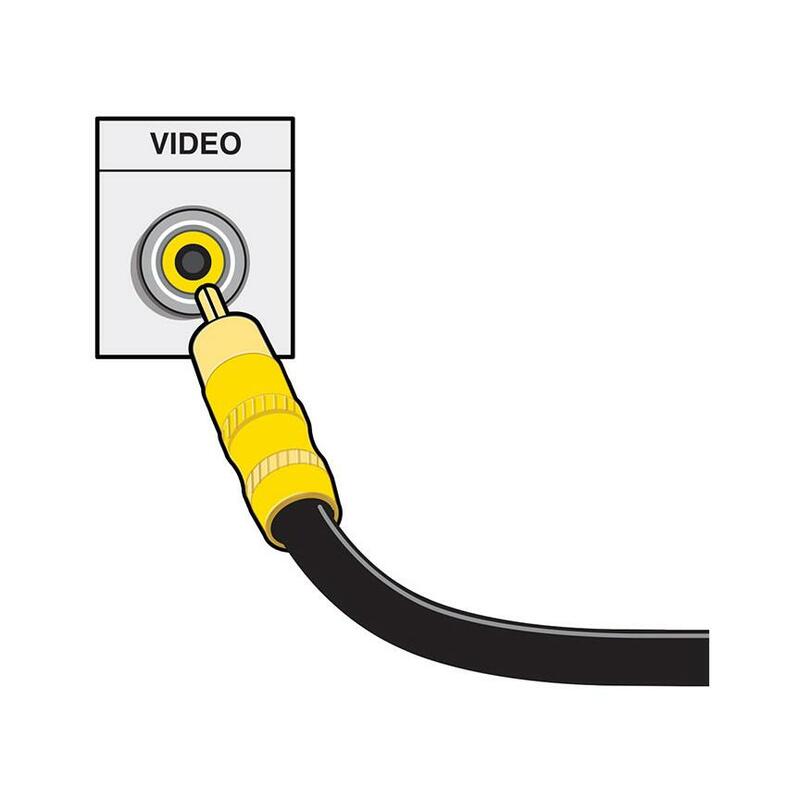 This is the most universal video connector. 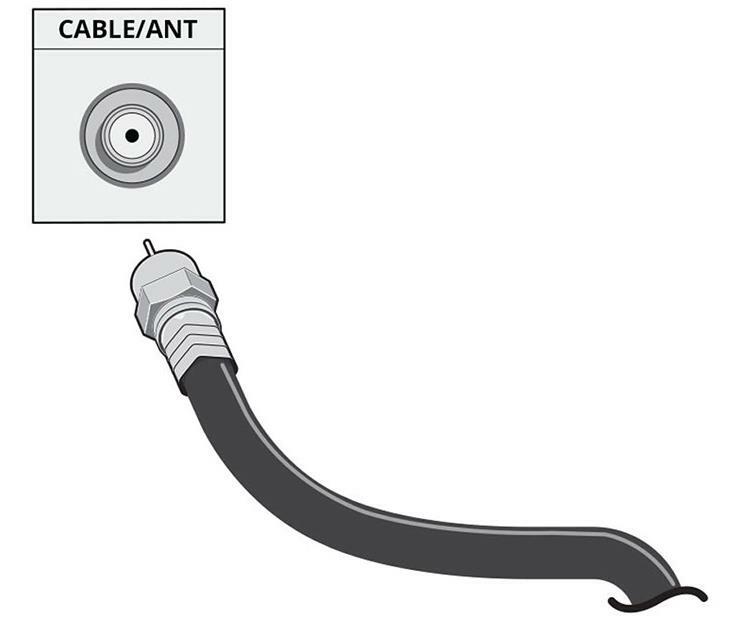 It's still found on most current TVs, but rather than the standard full-size RCA jack, many new TVs use a minijack composite connector that requires a special adapter (usually supplied with the TV). Picture quality is a step up from RF (below), but not as good as component video. Probably the most common way folks shortchange their TV's picture quality is through the overuse of RF-type coaxial connections. There's a reason the RF inputs on TVs are usually labeled "Antenna" or "Cable" — those are the signals they were designed for. RF-type connections should generally be limited to bringing signals into your A/V system from outside your house: TV antenna, cable TV jack, or satellite dish. You may be tempted to use RF to connect your Blu-ray or DVD player, cable or satellite box, or game console to your TV because it's a simple one-cable hookup, but please don't! RF is the lowest-quality video connection between any video source component and your TV. If you'll be using an antenna to receive over-the-air broadcasts, it's a fairly simple connection to your TV. If you plan to use an antenna but haven't bought one yet, check out our article on choosing a TV antenna. Your antenna passes the broadcast signals it receives via a single coaxial RF cable. Most of the time, all you need to do is connect that cable to your TV's UHF/VHF input (usually labeled ANT or ANT/CABLE), and that takes care of both video and audio. Your cable box or satellite receiver usually connects to your cable wall jack or satellite dish via a single coaxial RF cable. However, when you make the connection from the cable/satellite box to your TV you should use the highest-quality video connection your cable box or satellite receiver offers, typically HDMI for an HD-capable box. Most cable and satellite programming includes surround sound, and HDMI can deliver flawless 5.1-channel audio to your TV. But, the TV then converts that gorgeous surround sound to stereo for playback through its tiny, underpowered built-in speakers. And until recently, any video component you connected to a TV would have its audio downconverted to stereo, as well. Aside from HDMI, an optical digital audio connection is often the only way to send surround sound signals from your TV to a home theater receiver. If you want to hear surround sound, you'll need to make some type of digital audio connection from the cable/satellite box or TV to a home theater receiver. Nearly all current TVs now pass Dolby® Digital and DTS® surround signals from connected components via the optical digital output. So, if you want to use your TV as your source selector, you can connect your components to the TV, then run either an HDMI or optical digital cable to your receiver for sound. 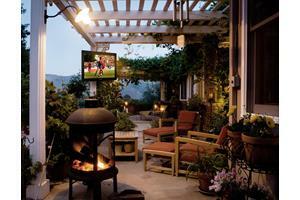 Your options include HDMI, optical digital or coaxial digital. We'll talk about connecting to an A/V receiver in more detail below. Whether you own a standard Blu-ray player or a 4K Ultra HD Blu-ray player, we recommend using an HDMI connection between your player and TV. Actually, HDMI is the only connection that can deliver 1080p HD and 4K Ultra HD signals. Many 4K Blu-ray players include two HDMI outputs for improved compatibility with older A/V receivers that can’t handle 4K video. One HDMI output supplies video to your TV or projector, the other supplies audio to your receiver. To hear the surround sound encoded on most Blu-ray discs, you'll need to make a connection to a home theater receiver. To get standard Dolby Digital or DTS, make either an optical digital or coaxial digital audio connection from your Blu-ray player to your receiver. This is your best option if you have an older receiver that lacks HDMI inputs. However, to hear the more sophisticated surround sound formats offered on Blu-ray discs, such as Dolby Digital Plus, Dolby TrueHD, and DTS-HD™, you can't rely on a simple optical digital or coaxial digital connection. Instead, you'll need to connect your player to your receiver using either HDMI or a multichannel analog connection. 4K Blu-ray players may run into compatibility issues with even recent A/V receivers because 4K content requires HDCP 2.2 copy protection, which wasn't included on many A/V receiver built in the last few years. 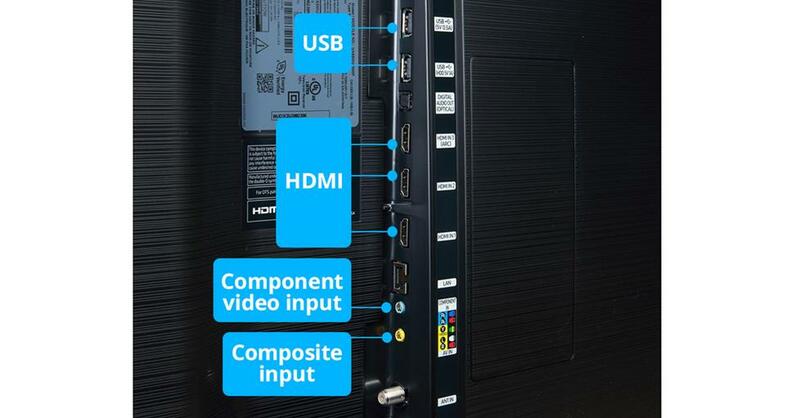 Luckily, manufacturers included a helpful workaround on most 4K players: two HDMI outputs. One passes video and audio signals and is designed to connect to your TV or projector. The other passes audio only and connects to your A/V receiver. All three of today's big gaming systems deliver intense entertainment, with vivid images and impressive sound. And just as with other components, there's a real value to making the best available connection, in order to get the best picture and sound. Sony's PlayStation® 4 and Microsoft's Xbox One™ are both based on a Blu-ray disc drive, which makes HDMI the connection of choice for both video and audio. For Nintendo's Switch™, the best video connection is also HDMI. 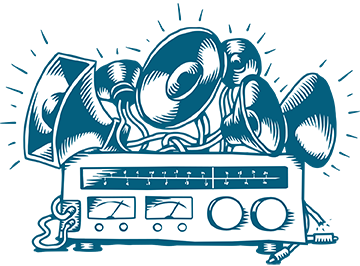 In the previous sections, we described how to make an audio-only connection to a home theater receiver, in order to get sound from TV broadcasts, Blu-ray movies, and more. However, many folks with a home theater receiver end up connecting all of their components directly to the receiver's audio and video inputs. If your receiver offers video conversion for an HDMI output (that is, it can pass any video signal you send into it out along an HDMI cable), you'll only have to make a single video connection to your TV. If your receiver also offers video upconversion, it will upconvert any signal you send it, making all your video sources look as good as possible on an HD or 4K screen. If you don't want to have to switch sources on the receiver for sound, and switch sources on the TV for video, this approach lets you make just one selection for both sound and video. If you take this route, be sure to follow the general recommendations we've already shared: use the best-quality connections available in order to get the best picture. We recommend making an HDMI connection to your TV for HD or 4K video (component video connections can sometimes work for HD but not 4K). Of course, if you have an older receiver that can do home theater, but doesn't have component video or HDMI (and therefore can't send an HD signal to your TV), you may not want to run all your video sources through your receiver. Instead, you should just make audio connections from your components to the receiver, and make separate video connections directly to your TV. The HDMI input with ARC (audio return channel) lets you send TV audio back to your receiver provided the receiver is ARC-compatible. That way you don't need to make a separate audio connection from the TV to the receiver. If you're using your TV's built-in tuner to watch over-the-air HD broadcasts, and you want to be able to enjoy surround sound with those TV shows, there are a couple of ways to make that happen. 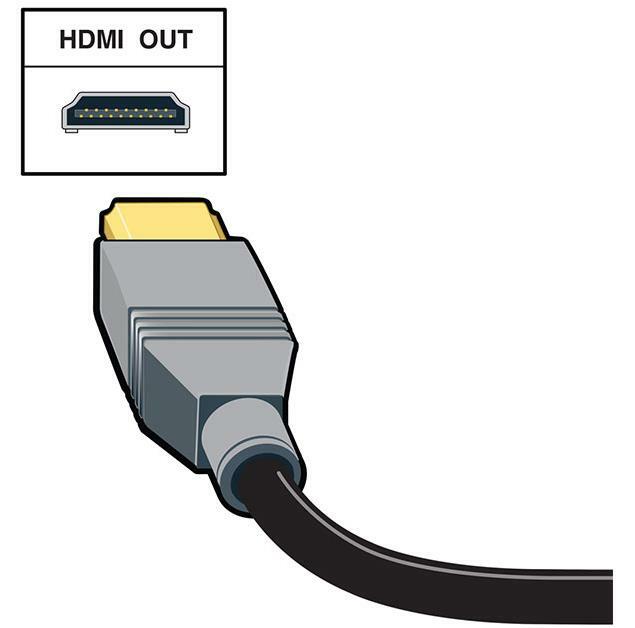 Nearly all current TVs and home theater receivers have at least one HDMI input with a feature called "Audio Return Channel" (ARC). If you've got both a TV and receiver with this feature, you can send audio from your TV back to your receiver using the same HDMI cable you use to send video signals from your home theater components to your TV. This way, you won't need to make a separate optical digital connection. 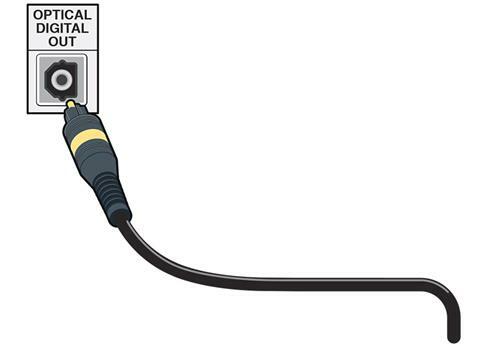 If you're not sure if your gear is ARC-enabled, look for an HDMI input labeled something like "ARC." You won't need a special HDMI cable for this feature to work — any recent, good-quality cable should do. Most smart TVs have Wi-Fi, but they also give you the option of a wired Ethernet connection, which may be faster, more reliable, and more secure than the wireless connection. If you've got a TV that's internet-ready, you'll need to connect it to your existing home network to access online content. Most of these TVs have Wi-Fi® capability, but some still require a wired Ethernet connection. If you're connecting wirelessly, you'll likely be prompted to enter info such as your network name and any security passwords you have protecting your network. If you've got a DLNA-compatible TV, you'll need to go through the same steps to access the music, photos, and videos stored on your computer. You may also need to adjust the security settings on your computer. A lot of folks don't think about power protection for their TV — until it's damaged by a power surge. To protect your HDTV investment, you should plug your TV and all of your other components into a good-quality surge suppressor. You can also actually improve your TV's picture, and in some cases extend its life, by using a higher-quality power protection and line conditioning unit. These components clean and filter AC power, often resulting in a noticeably crisper, clearer picture. 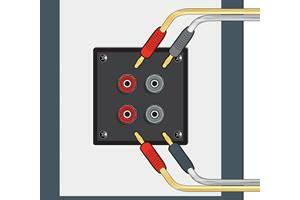 For more info, see our article on choosing power protection. Need information or advice on putting together a system? 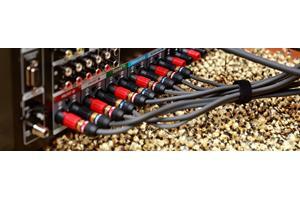 There are lots of different ways to configure a music or home theater system. If you’d like more information or some help picking out the components and cabling to meet your goals, give one of our advisors a call at 1-888-955-6000.